Some members of the Justice Society from Elseworld's Finest: Supergirl & Batgirl . 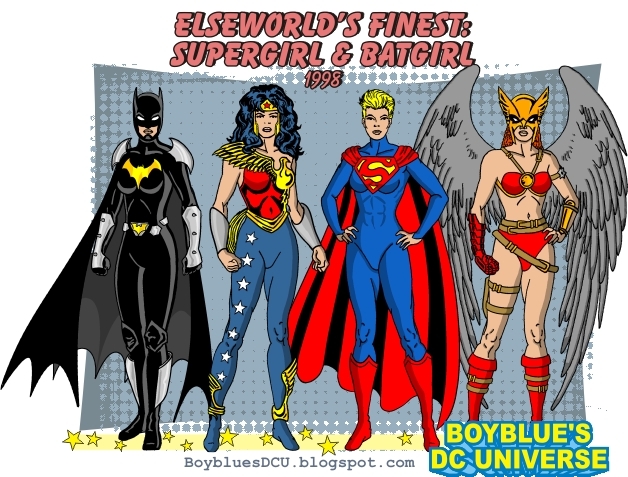 From left to right: Batgirl, Wonder Woman, Supergirl, Hawkwoman. Thank you, James! I loved the fact that she has been in that story, with a complete different costume. But honestly my favourite look in this story was Wonder WOman.